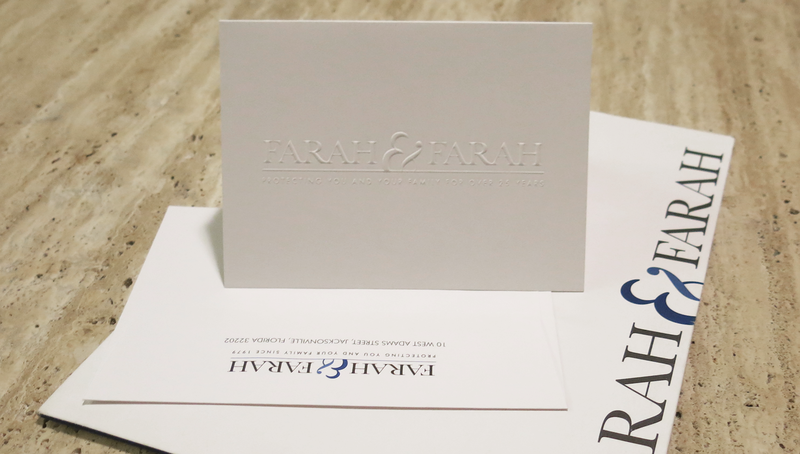 The ampersand in this logo made reference to the two Farah brothers joining as partners, and helped energize the logo while remaining traditional. This mark won an American Graphic Design & Advertising 25 award in the Logos & Trademarks category. 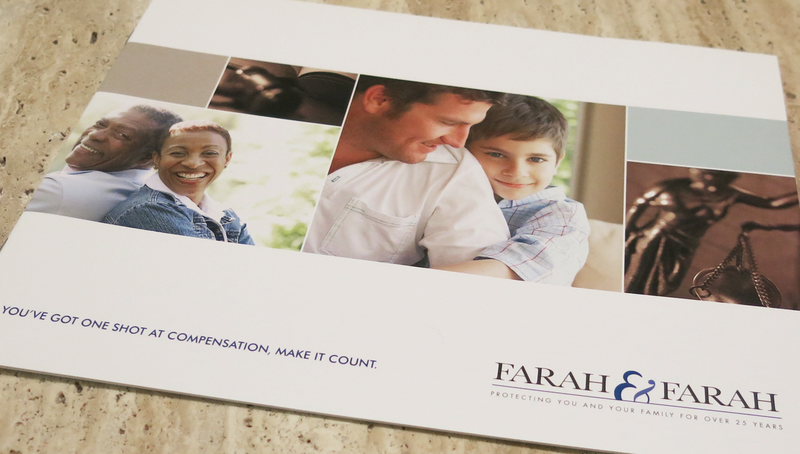 I also created the brochure shown below, which further updated the firm's image while still remaining relevant to their primarily blue-collar clientele. 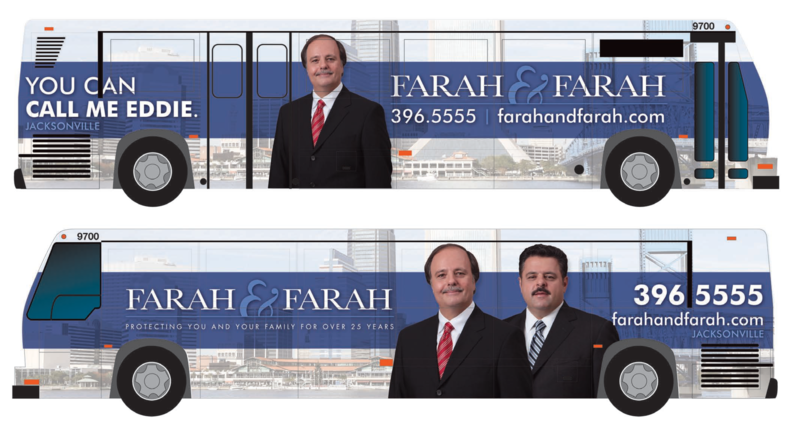 Having worked with this client for years, I designed numerous pieces utilizing some interesting mediums including billboards, taxi toppers, bus wraps (as shown below) and even personalized bobblehead characters of the two Farah brothers!